Queensland Transport has launched “What Davo Loves”, www.whatdavoloves.com, today’s Site of the Day, an expression of the “Slow Down Stupid” advertising campaign for 2008/2009. The primary audience for the campaign is young males, a key risk group for speed-related fatalities. 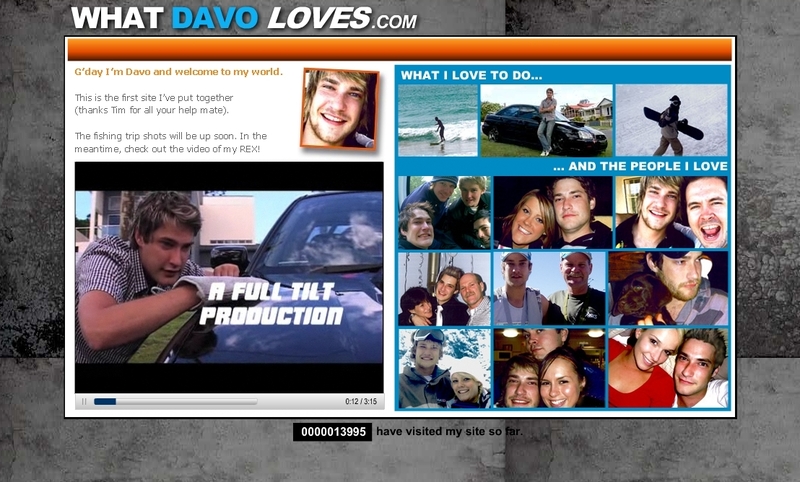 “What Davo Loves” opens up with what appears to be a home made site, with an amateurish tiling of background images and an invitation to check out Davo’s Subaru Rex videos. Once viewers have seen the catastrophic consequences of speed played out on the site, they’re given an opportunity to send an invitation to a friend or add the site to a social networking site. The site also includes the first three television commercials from the Slow Down Stupid campaign, Faces, Nightmare, and Three Little Words. Mothers dies. Fathers die. Sons and daughters. Friends and lovers die. All gone too fast. Senseless. Slow down Stupid. 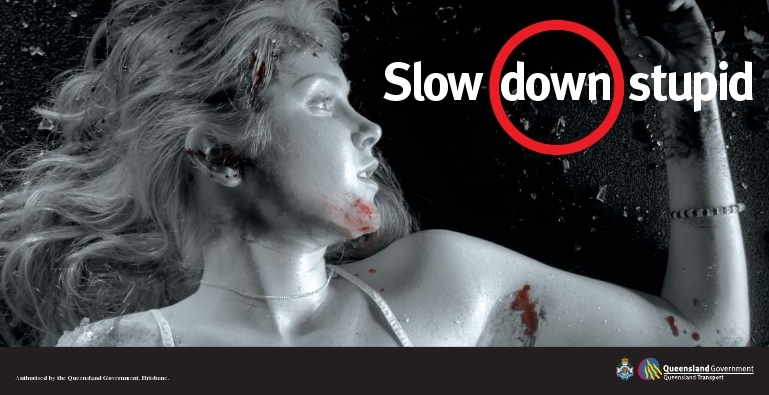 Outdoor advertising for the SLow Down Stupid campaign is initially using imagery from Nightmare.